Netflix has announced that Black Mirror Season 4 is coming sooner than we initially thought while revealing 7 new trailers to get us all excited (or scared) for what we're about to witness this season. It was originally thought that Netflix would drop Season 4 early next year, but we're getting it super late this year instead. Black Mirror Season 4 will premiere on December 29th and the new previews make it even darker than we thought, so get ready for some more heaviness after the 3rd Season's dark feel. Although very little is known about the upcoming episodes, the six new installments will be called, Arkangel, Crocodile, Hang the DJ, USS Callister, Metalhead, and Black Museum. We previously got a sneak peek at the Jodie Foster directed Arkangel, which looked like it was taking helicopter parenting to a whole new futuristic level of discomfort. Series creator Charlie Brooker has stated that Hang the DJ will be the closest that Black Mirror gets to becoming a rom-com while USS Callister looks like a bizarre spin on the Star Trek franchise. Charlie Brooker wrote all six episodes of Black Mirror Season 4 and has stated that like past seasons, all of the episodes will have their own tone and distinct personality. While Season 3 showed confidence to try new things, Season 4 is a lot more ambitious. Brooker had this to say. "In Series 4, there's a huge variety of stories, and tone and genre and aesthetic, they all look very different. This season is very ambitious and broader. Series 3 gave us the confidence to take on new things and show Black Mirror could mean other things, meant that we didn't just have to be nihilistic and bleak. It can be thought-compelling in different genres and moods, more surprising even though the DNA is the same." As previously mentioned, Black Mirror Season 3 was pretty dark, but the new previews of Season 4 look even bleaker, which didn't seem possible. The good news is that we don't have to wait too much longer to see just how dark the new episodes will be. Related: Further Proof Netflix's Black Mirror Movie Is a Choose-Your-Own-Adventure Episode? Black Museum stars Douglas Hodge, Letitia Wright, Babs Olusanmokun, and Aldis Hodge. It is set at a crime museum that showcases a number of high-tech items. The story follows a young woman (Wright) who visits the museum and learns about a few of the specific attractions, allowing the episode to actually tell multiple, shorter stories within. Black Museum is directed by Colm McCarthy. Crocodile stars Andrea Riseborough, Andrew Gower, Kiran Sonia Sawar, and is directed by John Hillcoat. It is a thriller that follows a woman who fears something from her past will come to light and ruin her life, due to a new device that can access a person's memories. Hang the DJ, which could be a rom-com, according to Charlie Brooker, follows two characters who live in a world where everyone is paired up using an advanced dating system. Starring Georgina Campbell, Joe Cole, and George Blagden, and helmed by Tim Van Patten. Metalhead is a story about survival in a futuristic, seemingly post-apocalyptic world in which one specific kind of technology threatens humanity. 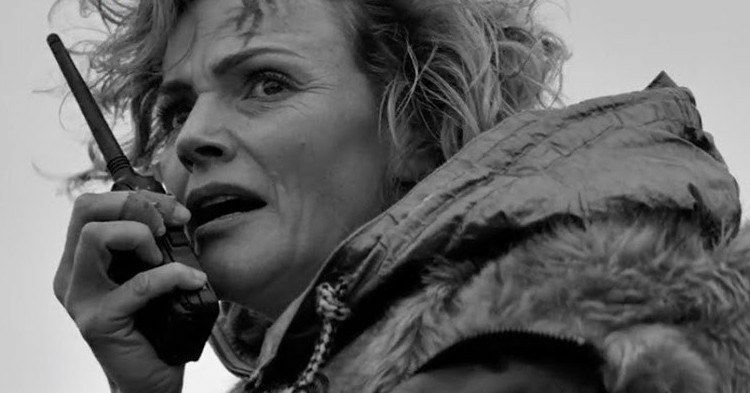 It stars Maxine Peake, Jake Davies, and Clint Dyer. Director David Slade tells the story using black and white. USS Callister is a feature length episode, during which much of the story is set in space, directed by Toby Haynes and starring Plemons, Cristin Milioti, Jimmi Simpson, and Michaela Coel. So there we have it, Black Mirror Season 4 right at the end of the year with 6 new episodes to get everybody thinking about the future. We'll have to wait and see how the new season will stack up against the others, but the new teasers as well as the descriptions already paint a pretty dark picture of the future. You can check out the official trailers for Black Mirror Season 4 below, courtesy of Netflix's YouTube account and be sure to check in on December 29th to watch the episodes. Further Proof Netflix's Black Mirror Movie Is a Choose-Your-Own-Adventure Episode?